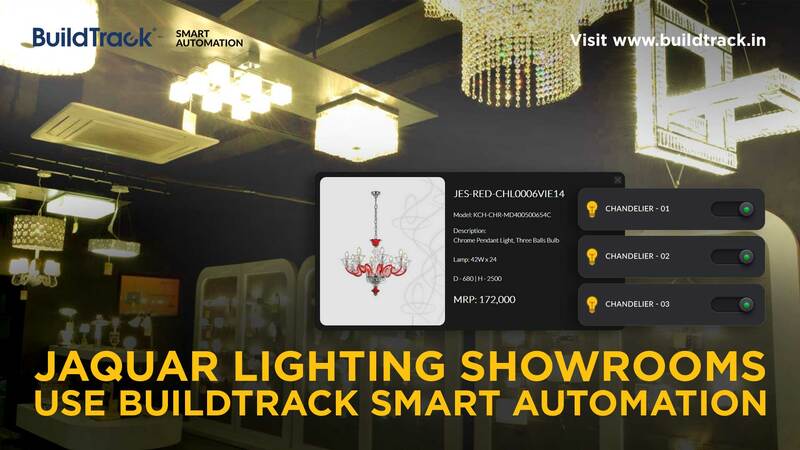 Jaquar Group has opted for wireless lighting automation system by BuildTrack for its various lighting showrooms. BuildTrack’s system will be controlling over 300 lights in the lighting showrooms of Gurgaon, Ahmedabad and Indore. The showroom’s down lighters, outdoor lighting, street lights, and chandeliers etc., will be controlled and monitored over a smartphone or tablet. BuildTrack has aimed to indulge the customers in the store with a digital catalogue that has the product information in detail and allows controlling of every light through the tablet. BuildTrack Automation gives a centralized control to the store operator to turn ON/OFF the lights in a single go. Customers can take their time to review the product without engaging any store representative. The app has categorized the lighting systems, which helps in quickly displaying the light of customer’s need. BuildTrack aims to implement this system in the entire Jaguar Orientation Centers across the Nation. Jaquar Lighting (https://www.jaquarlighting.com): Jaquar Lighting follows in those footsteps by offering a complete range of LED solutions for an array of needs and requirements – from indoor living to outdoor landscaping and decorative pieces. Every lighting product reflects Jaquar’s impeccable record of superlative quality and painstaking attention to detail. BuildTrack (www.BuildTrack.in): BuildTrack is a leading brand of Smart Automation & Internet of Things products and solutions from Surmount Energy Pvt Ltd. BuildTrack offers solutions for Homes, Enterprises, Hotels, Hospitals, Senior Living, Energy Efficiency and Building Management Systems (BMS). BuildTrack products are Designed, Developed & Made in India and pioneers in offering solutions with wireless, wired or hybrid connectivity to suit new construction and existing spaces with the best range, reliability, economy and with the least disruption to the customers during deployment.